Wedding planner’s are no longer reserved for over-the-top, exuberant weddings. It’s true! One of the first things you may think about when hiring a [full service] planner is the high cost associated with the service and truthfully, it’s not a low-cost investment. But pay close attention to the word “investment” I used. Hiring a wedding planner for their service is much more than a simple transaction or transfer of money. While you may not be receiving money in return for your investment, the value you gain is priceless. The three top reasons the value of a full-service planner is worth the investment are: Time, Advice & Network. 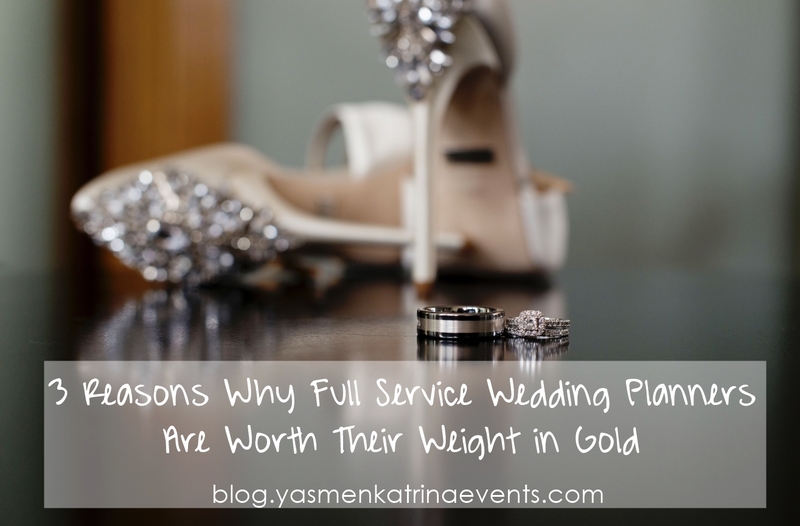 Weddings planners put in roughly 260-300 hours (or more!) of planning time dedicated to each client. I’ll dive deeper into the exact details of what a full planning service with me entails in a future post but basically, I'm spending time working with you every step of the way. Here’s a (very) brief list of how I spend my time with you. Venue Sourcing, contracting and follow-up. Unlimited emails and scheduled phone calls. Attendance and Supervision at the wedding rehearsal. Day of coordination which is about 17 hours for us. I'm going to dedicate an upcoming post to explaining exactly what you hire me for, so stay tuned for that! This isn’t a wedding planners first rodeo. As the cliche goes “we eat, sleep, and breathe” weddings. Chances are good that if there is a challenge you are facing, have an idea you are wondering about or need a suggestion, I've been through it before. I’ll give you 100% honest advice about every situation. If it won’t work, or if it will work but needs some extra special attention, or if it will make your guests angry or upset, I'm going to lay it all out on the table for you. The decisions are always yours but I'm going to provide you with the pros and cons of each situation which takes away the guessing game for you. I've had plenty of time to develop relationships of all sorts. Not only do I get to work with our favorite vendors often, we also make a point of networking with them outside of “work”. I believe it’s important to develop close-knit relationships with vendors because it makes the planning and day-of coordination so much simpler when you have 110% confidence in the vendors I am recommending.